Videos can be found on our Vimeo and YouTube Channels. 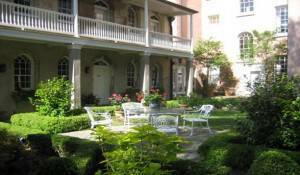 Crepe Myrtle Walk – A lovely intown property with a beautiful children’s garden. Smart Gardens – The vernacular courtyard of a stylish house in Buckhead, Atlanta, GA.
Poolside Meadow – Features a pool and building a retaining wall to make a useable space. Secret Gardens of Jacksonville – Hicks residence. Secret Gardens of Atlanta – Dargan’s own home!